Tylenol is one of the most widely used over the counter pain-relieving drug in the United States. The drug was first introduced into the country five decades ago and is manufactured by pharmaceutical giant Johnson & Johnson. Since its inception, millions of people have benefited from its superior pain relieving action. However, a number of patients have suffered severe complications including liver damage and even death after taking Tylenol as directed on the drug’s label. 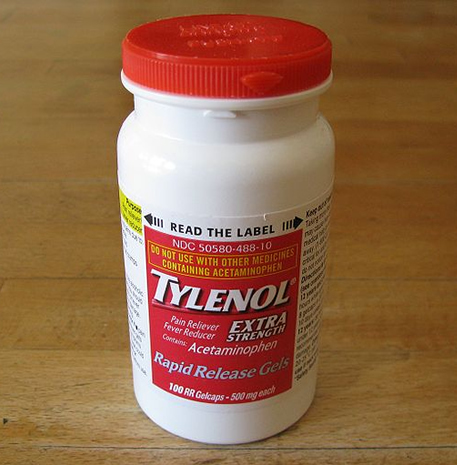 Today, injured individuals or family members of deceased Tylenol users across the US have filed multiple lawsuits against the giant pharmaceutical for continuing to produce the drug even after research indicated that the drug’s active ingredient acetaminophen is toxic to the liver. Most of the lawsuits contend that Johnson & Johnson and other drug manufacturers recklessly ignored acetaminophen’s side effects and failed to warn the consumers appropriately that the drug can lead to brutal liver failure and injury. In the US alone, 450 deaths and about 56,000 emergency room visits are recorded every year due to the accidental taking of toxic doses of acetaminophen leading to acute liver failure. With the most prone individuals being those who take Tylenol in combination with other drugs or alcohol. However, most users are unknowledgeable that their prescription drug contains acetaminophen and end up taking in a risky combination. To correct this dilemma, a U.S Food and Drug Administration advisory panel issued a requirement in 2009 that all prescription drugs containing extensive amounts of acetaminophen to be lowered to a limit of 325mg away from 500mg. Further, FDA recommended that every drug containing acetaminophen to be clearly branded with a caution tag about liver damage risks. According to a 2013 news release by the U.S Food and Drug Administration, acetaminophen, which is the active element in Tylenol and most common pain-relieving drugs, can cause skin reactions. In addition, FDA warned that individuals who have taken acetaminophen without a problem could also be at risk of developing blisters, rash, and damage to the skin. Georgia plaintiff Jonathon Eric Tyler is suing the pharmaceutical giant Johnson & Johnson and its affiliated companies, McNeil Consumer Healthcare and Amneal Pharmaceuticals, for the injuries he allegedly sustained from their over-the-counter medication Tylenol. The plaintiff is claiming that he suffered acute liver failure after taking Tylenol in combination with a generic version of Vicodin. Georgia couple Barbara and Glen Piper are suing Johnson & Johnson for the injuries she allegedly sustained from using over-the-counter Tylenol. The lawsuit alleges that she developed severe liver damage as a result of using Tylenol. How Can Filing a Tylenol Lawsuit Help You? If you or one of your loved ones has suffered liver damage because of Tylenol use, a trial may offer you an opportunity to seek compensation for your losses. If Tylenol or any other product containing acetaminophen has injured you, contact us today to schedule a no-cost consultation with our highly experienced product liability attorneys. Bruce Hagen’s Tylenol attorneys will review your lawsuit and walk you through the whole process. Hurry, statutes of limitations may apply.